USPA NEWS - "Everyone must know our determination to go to the end," For the Prime Minister, no question of giving in to the strikers. "Everyone must know our determination to go to the end," stated the French Prime Minister, no question of giving in to the strikers. The SNCF (french Railways) strike that has lasted for more than ten days is still ongoing and renewable until June 26, 2018. The standoff between the unions and the French government is intensifying. The anger of the crailwaymen is justified by the unions of SNCF, whose 70 proposal in response to the reform of the SNCF by the French government, were refused. 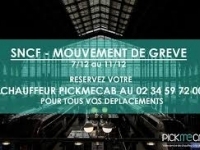 Only one TGV out of 5 and 1 out of 3 Transilien circulate this Sunday for the 2nd episode of strike at the SNCF. It's a little less worse than Tuesday and last Wednesday. Monday, however, the movement should resume vigor. 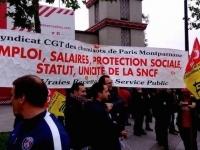 According to the General Manager of SNCF Transilien, 43% of the rolling staff declared their intention to strike. 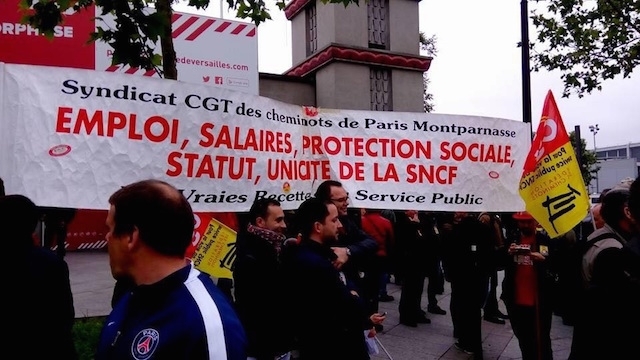 To express their dissatisfaction with the reform of the SNCF, three railway workers will leave tomorrow, Monday, April 9, for a march of more than 700 kilometers. Leaving Pamiers, Ariège, they plan to reach Paris on May 8, at an average rate of 25 km per day. "We will follow the rail and go to meet railway workers in struggle, but also citizens, French, to explain our working conditions," said one of them, interviewed by France info. The three railway workers have also launched an online petition, "Walk or strike", which they will sign over the steps. This strike has spread to other sectors, including that of the public service which is advancing to strike for tomorrow Monday, April 9, 2018. 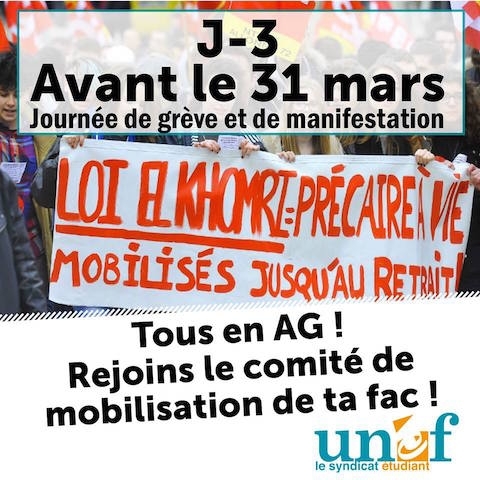 In addition, students represented by the UNEF (Union of Students of France) are on strike. At the University of Tolbiac for more than ten days, in Paris, the Tolbiac site of Paris-I has blocked the students who were preparing to take the exams. This university Tolbiac usually hosts between 10,000 and 12,000 students. Three universities are currently blocked by students protesting against the law on new forms of access to college, which they equate to "selection": Montpellier, Toulouse (see box) and Paris-VIII. 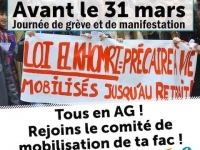 At the Paul Valery school in Montpellier, a general assembly of 3,000 students voted at the end of March "an unlimited blockade" until "the repeal of the Vidal law". Many university sites undergo for several days suspension of courses, demonstrations or partial blockages. This is the case in Paris Tolbiac (Pantheon-Sorbonne, Paris-I), Lille, Grenoble, Aix-Marseille, Bordeaux, Limoges, Tours, Nancy, Nice, Lyon-II, Nantes and Dijon. (Source: The Depeche du Nord) Examinations are approaching. According to the facs, they range from late April to late May. "The exams must take place," said Philippe Philippe yesterday on Radio France Inter. Some fear a new move of MAY 68 (Historical general strike of the French Studies fifty years ago). The Prime Minister sent a set of no-pay to strikers who demanded to automatically get the average at their end-of-year exam. The protest movement is gradually spreading to all campuses in the country. The President of the Republic, Emmanuel Macron will speak on French Television next Thursday. 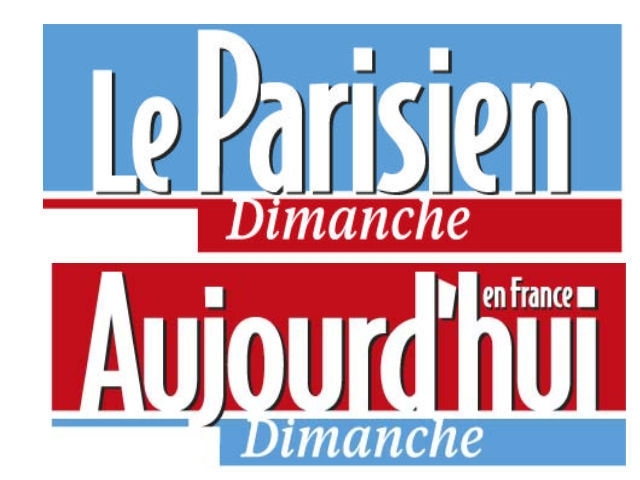 EXCLUSIVE INTERVIEW OF EDOUARD PHILIPPE LED BY OLIVIER BEAUMONT- VALERIE HACOT- MURIEL PLEYNET- VINCENT-VERIER- HENRI VERNET FOR LE PARISIEN-DIMANCHE QUESTION BY LE PARISIEN DIMANCHE :The strike resumed this Saturday night and will end Tuesday morning. Is it leaving for days of hardship for public transport users? ANSWER EDOUARD PHILIPPE, French PM : I dread it and regret it because I see the very painful character for users who need the train to get around, go to work, see their loved ones ... But just listen to those who thought this strike to understand it is designed to maximize nuisance for users.--------------------------------------------------------------------------------------------------- QUESTION BY LE PARISIEN DIMANCHE : This might prompt you to review your copy? ANSWER EDOUARD PHILIPPE, French PM : I see that some support this strike, others who criticize it. In any case, I receive messages from French people who support the government, saying that we must go all the way. Well, that's what we're going to do. As early as February 26th, during my first statement on the SNCF, I said that there were topics that were not negotiable: the opening to competition, the reorganization of the company and the end of the recruitment status. We will not come back to that, which does not mean that I am not open to discussing modalities.--------------------------------------------- QUESTION BY LE PARISIEN DIMANCHE : Starting from this postulate, how to get out of this strike, knowing that the unions said they did not want to hear about these points?----------------------------------------------------------------------------------- ANSWER EDOUARD PHILIPPE, French PM : I hear the determination of some unions, but they hear mine too. The status quo is not viable.---------------------------------------------------------------------------------------------------------------------------------- QUESTION BY LE PARISIEN DIMANCHE :Does this mean that we have started in a balance of power that can last several months?--------------------------------------------------------------------------------------------------------------------------------------------- ANSWER EDOUARD PHILIPPE, French PM : I have never used the balance of power theory. But I clearly expressed the government's will and where were the margins of discussion. I am hopeful that in the end we get along. On opening to competition, you often quote the German example. But over there, ticket prices have also gone up ... It depends on what prices we speak and which lines! The German model on which our reform is based is a unified company, a single boss, increased attendance, improved quality of service and an offer that has multiplied with more low prices. SNCF is well worth the Deutsche Bahn. So I remain convinced that with the opening to competition, quality and supply will largely improve. QUESTION BY LE PARISIEN DIMANCHE : Was there a lack of pedagogy to explain this reform?------------------------------ ANSWER EDOUARD PHILIPPE, French PM : I have absolutely no regrets. But that there is need to explain and continue to explain, it is obvious. QUESTION BY LE PARISIEN DIMANCHE : So your method is the right one, despite the protest movements? 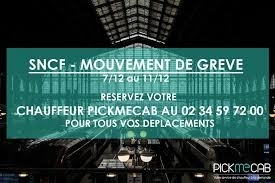 ANSWER EDOUARD PHILIPPE, French PM : Who could honestly think that if one day we would undertake the real reform of the SNCF, it would necessarily happen without protest? We know that it is a sensitive subject. All the French know it, that's why they tell us to hold on. There is urgency, we must move forward and everyone must know our determination to go to the end. Some suspect you of breaking the status to symbolize the reforming capacity of your government ... It's an extremely politicized reading of the problem. This is not the case. If we were talking about a sector where the quality of service was recognized as rather good, who was not losing money, I would understand that question. The reality is that this is a company where the quality of service is deteriorating, losing a lot of money as we inject more and more, and will be subject to competition. To do nothing is to condemn the enterprise.